How do we do it? How do we get such amazing prices on Italian gold design? Here’s how: We embrace Italy. We talk with our artisans over cups of espresso in our office in Arezzo that was built in the 1200s and gives us beautiful frescos to look at instead of white boards and computer screens. We become patrons of the Vasari Museum, we stop and smell the roses and help plant more in the Rose Garden of Florence, we share wine, stories and laughs. We connect. And, boy is it a win... all the way around. 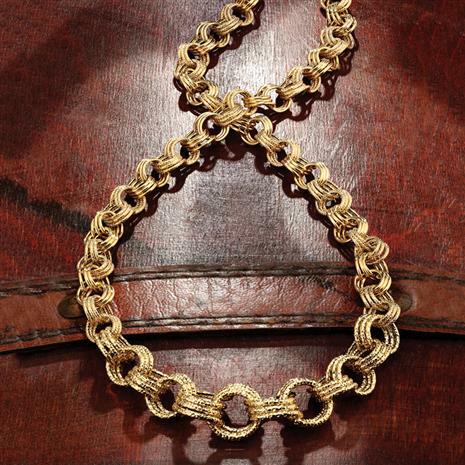 The Tripolo Link Collection is the ultimate example of being linked in. 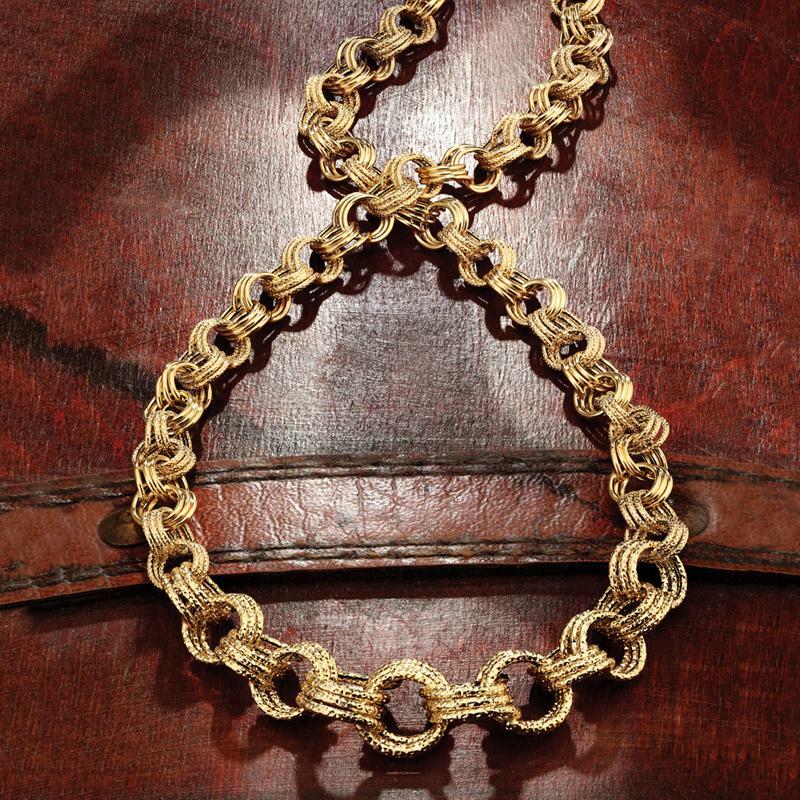 Similar Italian gold necklaces are going for around $1,800. The better choice is right here. Handcrafted from 14K Italian yellow gold, these pieces celebrate the artistry of world-famous Italian metalwork. Triple rolo links with both polished and diamond-cut finishes are interwoven to create a stunning variation of the classic Italian chain. The necklace is slightly graduated to hug the neck perfectly. Equally as stunning, you have the option of choosing .925 sterling silver drenched in 14K Italian yellow gold. Take advantage of being linked in with Stauer, and indulge in Italian gold design for a truly remarkable price.